This post is so, incredibly, totally out of character for me. Even though it’s been something I’ve been wanting to do for a while, I can’t believe I finally did it. 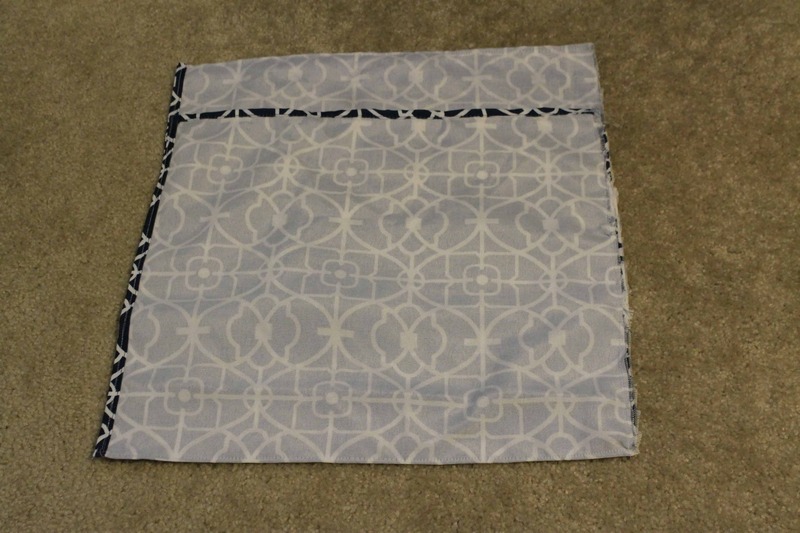 I, the queen of the no-sew hem tape, stitch witch forever, have sewed. And my first project is laughably ironic. But let me back up for a beat. 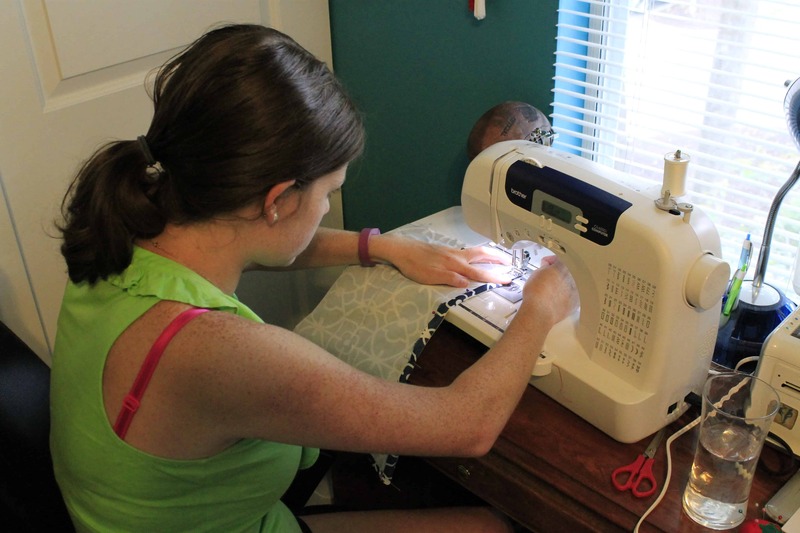 I have had a sewing machine for a long time – over ten years. I have moved it from apartment to apartment and never really used it. I always forget how to thread the bobbin (the manual is long gone) and I swear that pieces are missing. 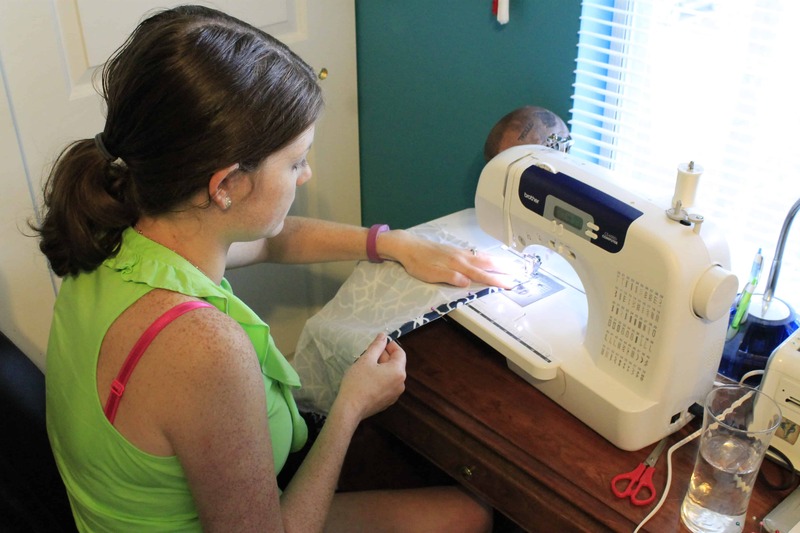 So, in a bold, life altering move, I asked for a new sewing machine for my birthday. I picked out this one from Amazon – the Brother CS6000i. It has 60 different stitches, does button holes, and was $150 (on Amazon). It had solid reviews and I thought it was a good beginners machine. 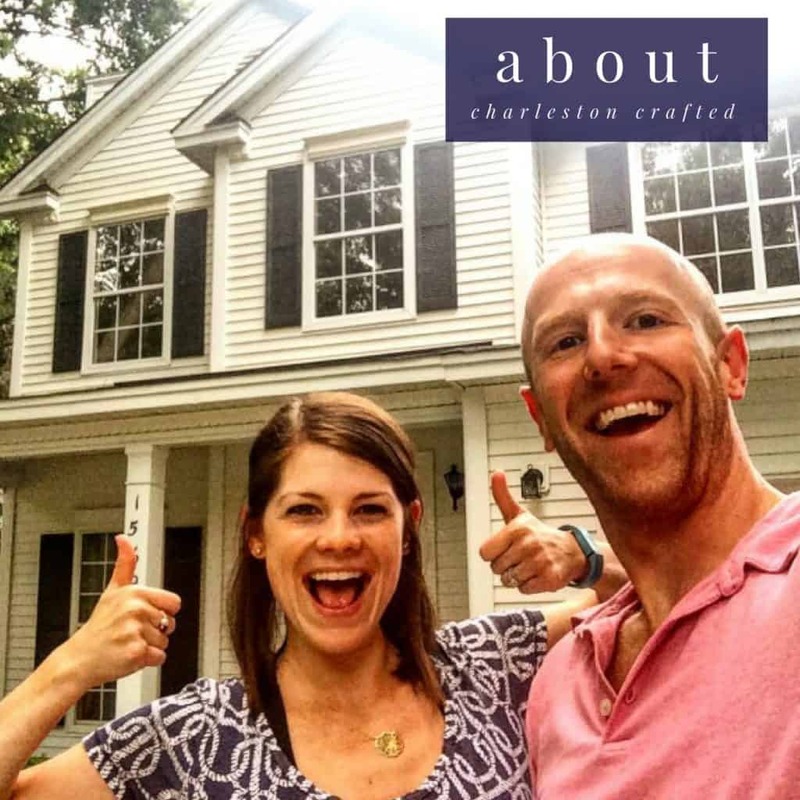 We’ve been travelling and hosting guests a lot lately, so it was June before I got to sit down with it. I unpacked it from the box and set it up and the never-used desk in the guest bedroom. It came with excellent directions and a “quick start guide” and I threaded the bobbin on my first try, y’all! I still don’t understand why threading the needle has to be a twelve step process, but as far as those go, this was very easy. I sat down and was able to start actually sewing in less than 20 minutes! My first project was to sew some pillow covers. 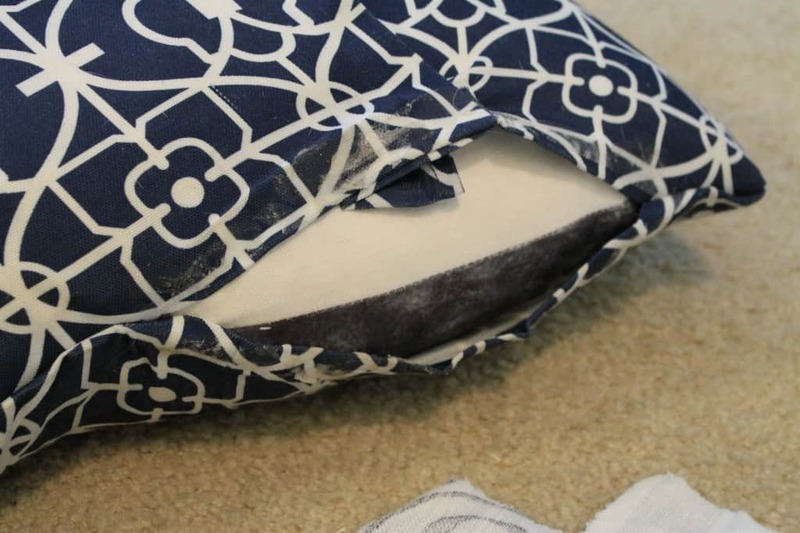 I was looking thru my fabric stash, however, and realized I didn’t have many pieces large enough to cover a whole 12” pillow. 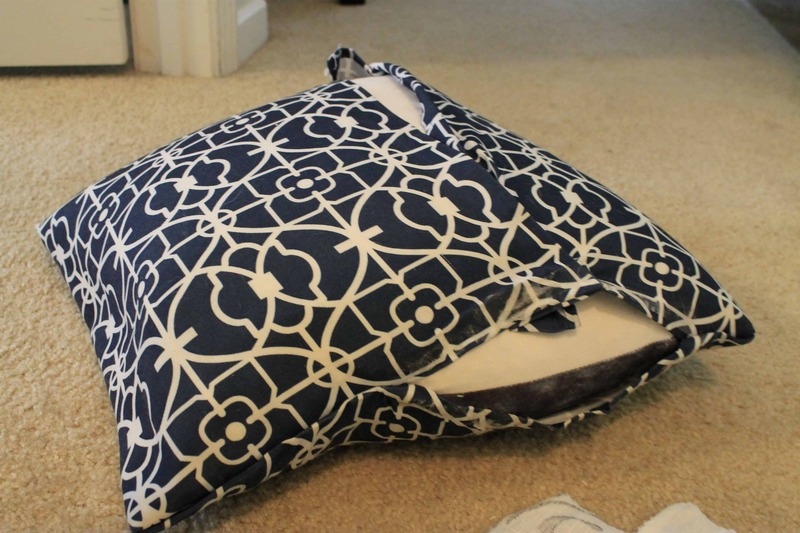 So, I decided to re-cover my pillows… in the same fabric they’re already covered in. Here comes the irony of this project – these no-sew hem tape envelope style pillow covers are by far the most popular blog post that I’ve written to date, largely due to pinterest hits. And I have loved them for over a year, but the thing with hem tape is, it doesn’t last forever. 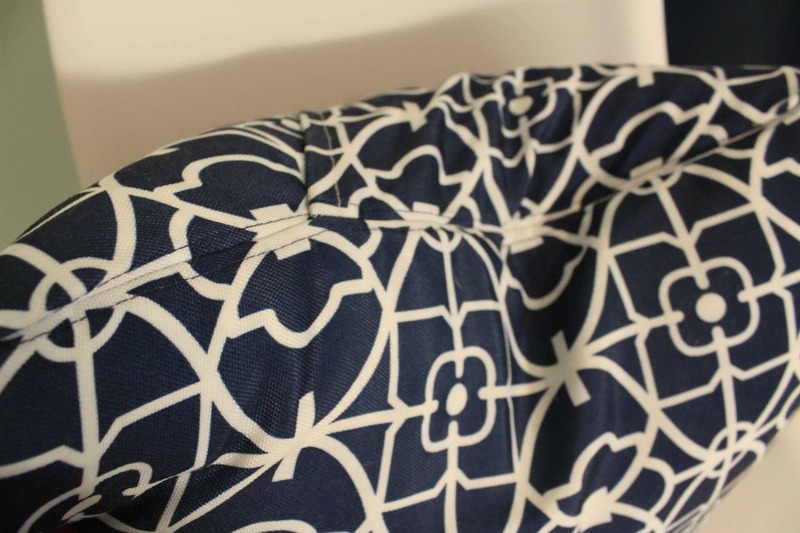 My curtains have fared pretty well, but these pillows take a regular beating, and they were hurting from it. So, I decided to re do them. 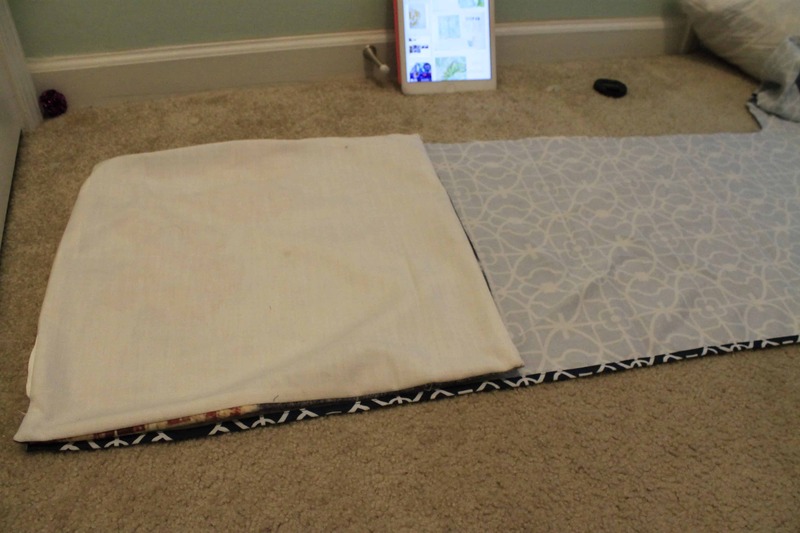 Start by cutting a piece of fabric about as wide as your pillow and 2 ½ times as long. You’ll have one long rectangle. 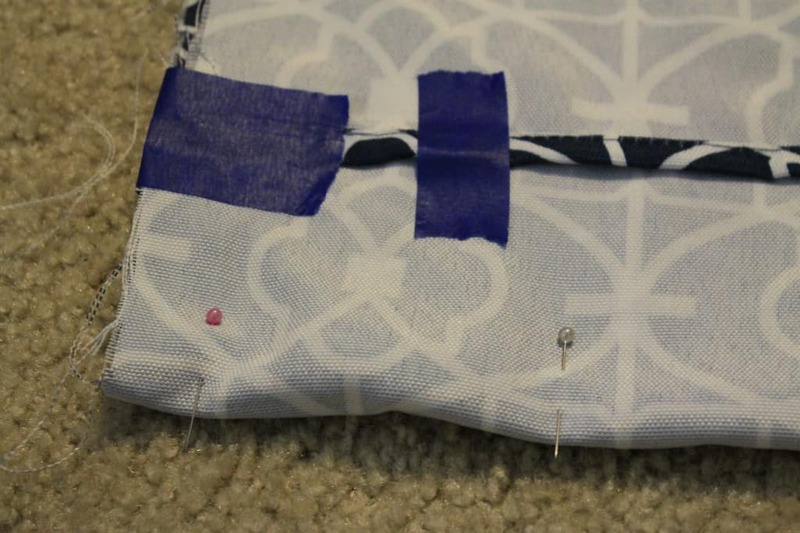 Use your machine to hem the 2 short sides. 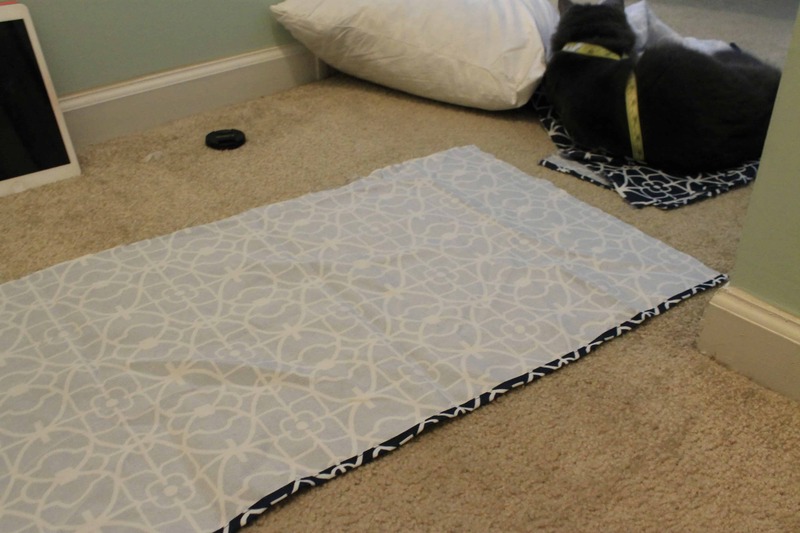 Fold them over about ¼ of an inch, pin in place, and sew with small stitches. Your lines might not be perfectly straight if you are just beginning. It’s ok! No one needs to look that closely anyways. Fold the edge over again and repeat, to hide all the unravelled edges. 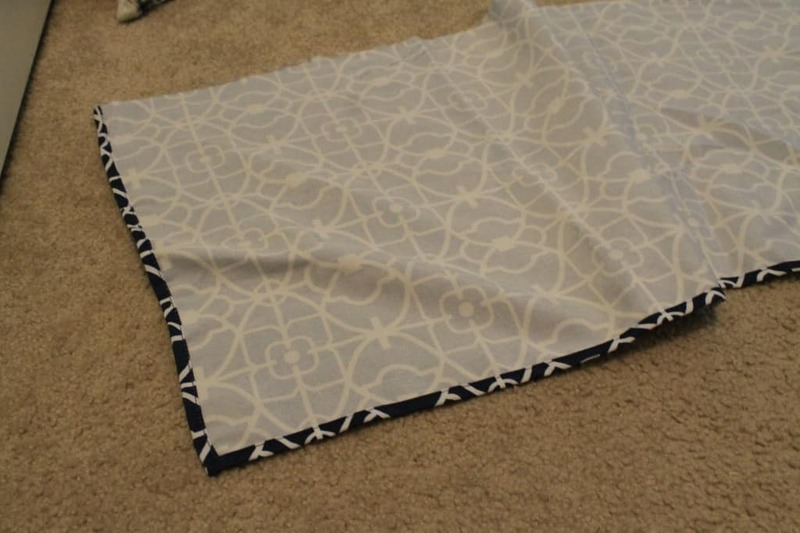 Leave the long sides unhemmed. 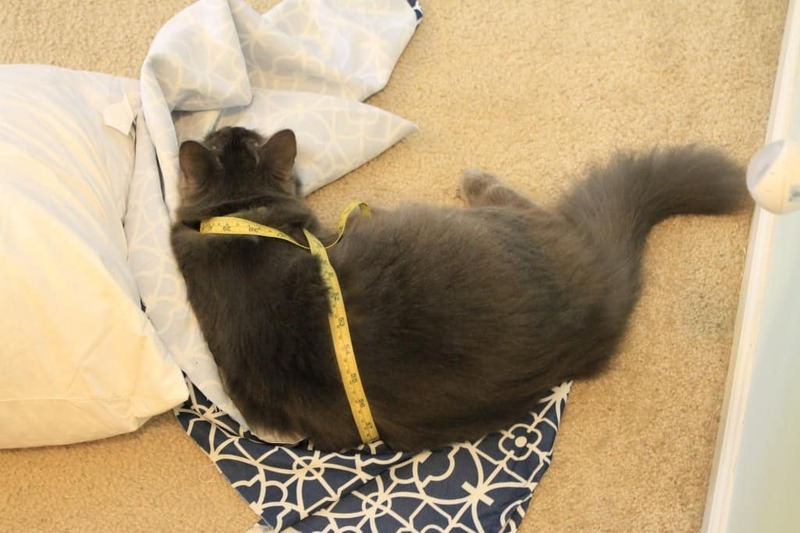 Fold the rectangle (good side of the fabric up) over your pillow form to get a good measurement of how big it needs to be. You will have overlap of the 2 ends. That’s good. That’s the “envelope”. 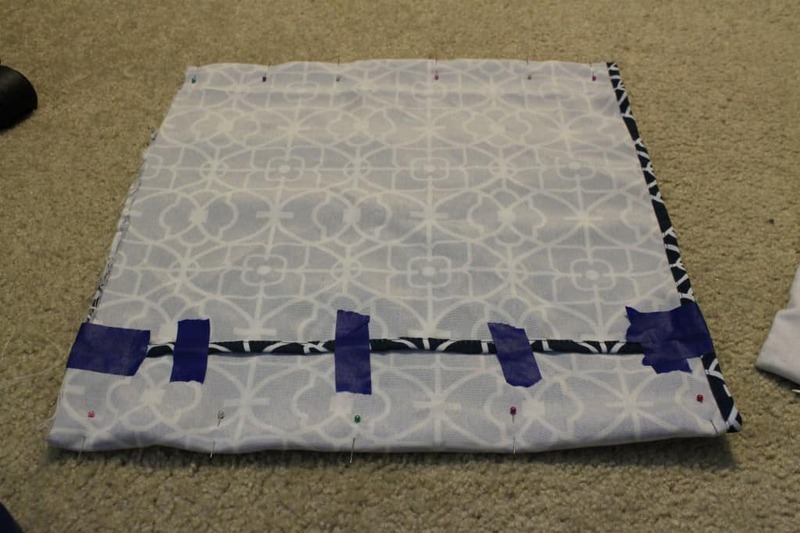 Pin the edges to keep the folds in the right place. I don’t have a lot of pins, so I used painters tape to keep the flap in place. Ghetto, maybe. But I wasn’t letting anything stop me once I got going on this. 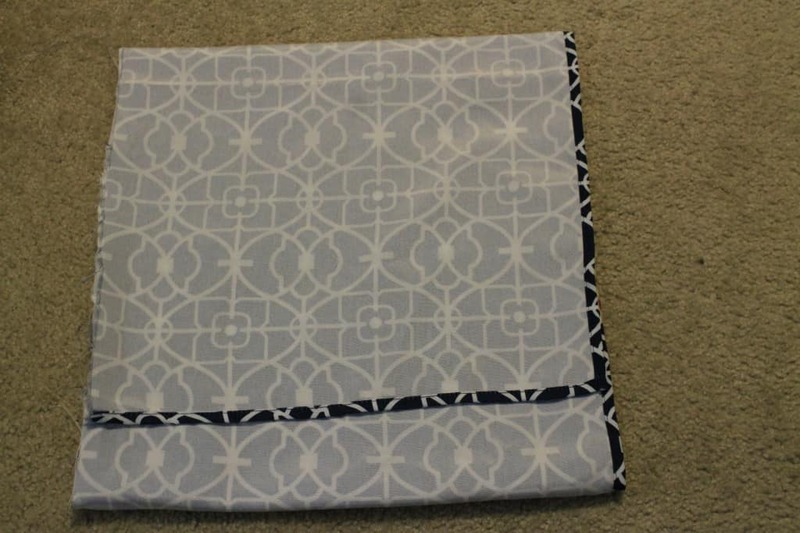 Now, I sewed each fold in place. You don’t have to, persay, but it will give you nice crisp edges, and it means you can take out some pins. 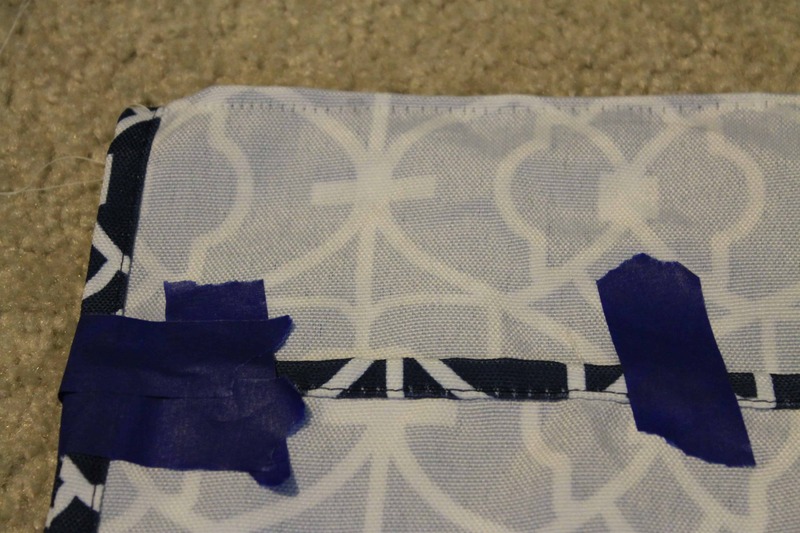 Then, pin the open sides and sew them closed, too. 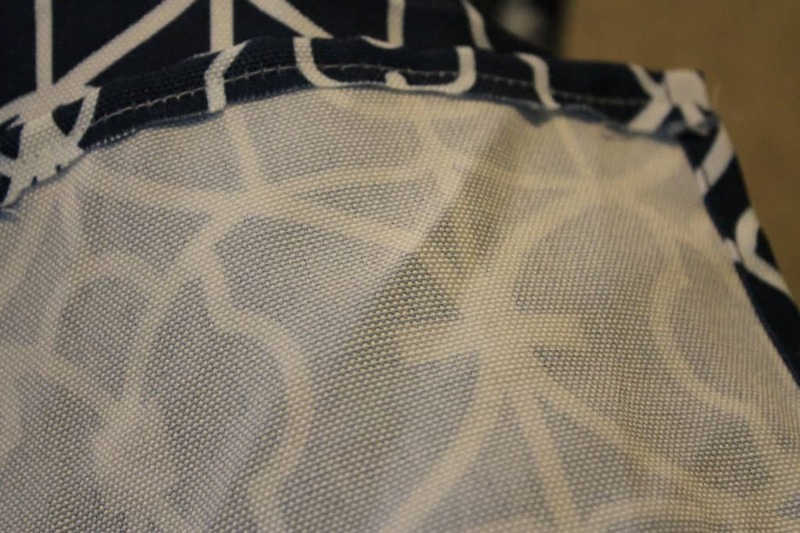 I ended up sewing over the thick parts (where the flaps overlap) 4 times just to be sure they were not going to rip. Trim all your threads, and turn that sucker inside out. 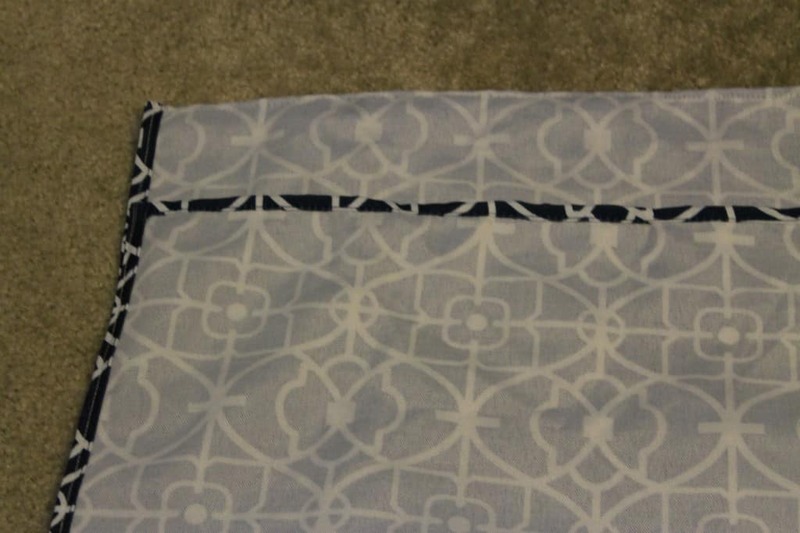 I also snipped the corners to a diagonal so there was less fabric in the inside of the corners, and therefore they lay more pointed and sharp. 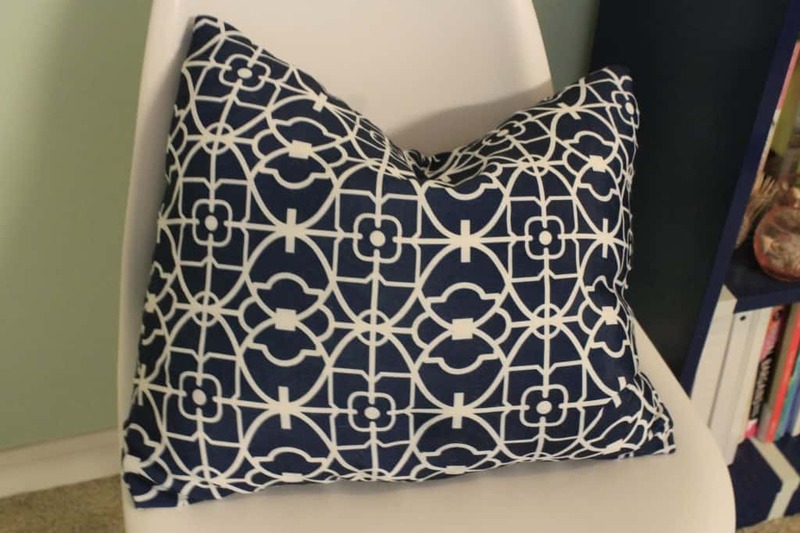 My first pillow (the first thing I’ve sewn in a decade) took less than 20 minutes. These are so easy folks! And look how much better the sewed one looks than the taped one! 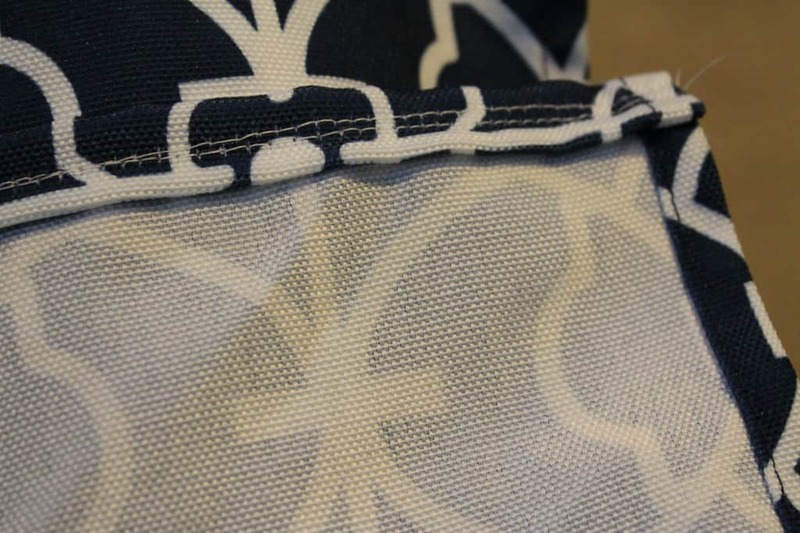 I’m keeping my hem tape, but hoping to keep it on the backburner for a while!